We all know that Argentinian businessman/influencer (Uuyyy!) Nico Bolzico absolutely loves trolling his dear wifezilla Solenn Heussaff on social media. But there's another person in Nico's life who he loves to tease: his brother-in-law Erwan Heussaff. We compiled the best IG posts where #Erco showed some "brotherly love." Get ready for major LOLs! Love this side-by-side of Nico and Erwan's twinning magazine covers! Here's Nico teasing Erwan as Jean Claude van "Anne." LOL!!! 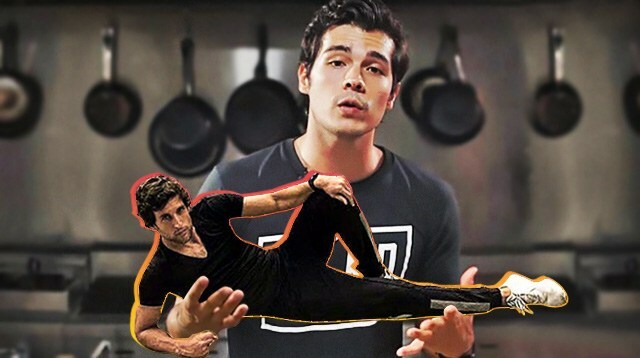 How can we forget Nico's parody of Erwan's French tutorial vid?! Pure genius.